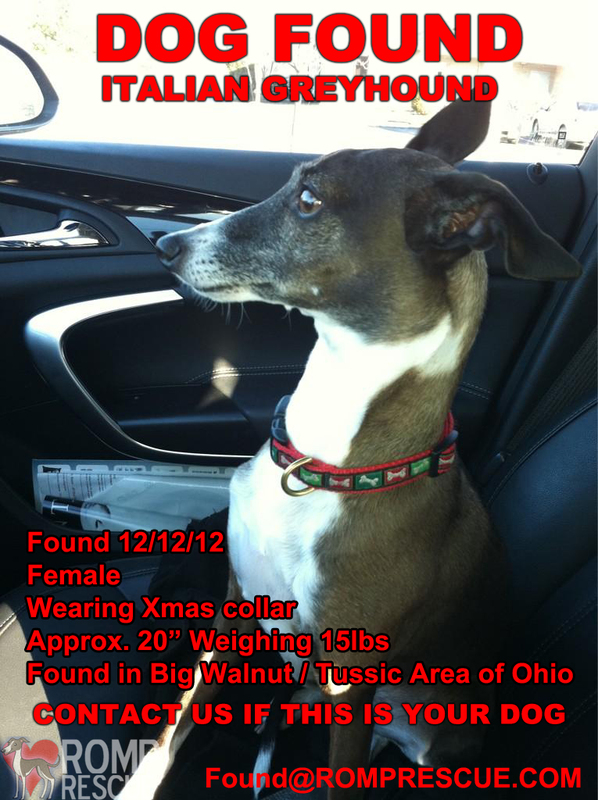 Italian Greyhound found in the Big Walnut / Tussic area of Ohio today, December 12, 2012. A lady on Twitter found this female weighing about 15 lbs and about 20″ long. She has on a Christmas collar without any tags. She is black and white in color with a friendly disposition. If this is your dog, please contact us immediately: FOUND@RompRescue.com! 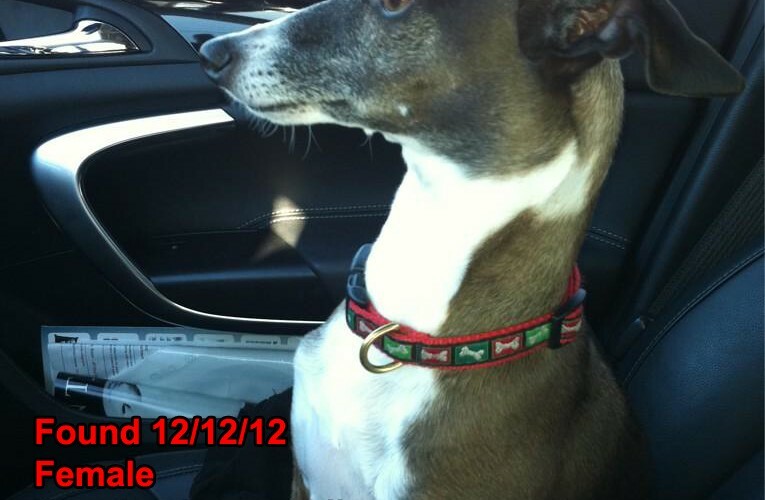 Update December 13, 2012: The owner was reunited with the pooch! Yippee! This entry was posted in ALL, Lost dogs. Bookmark the permalink.